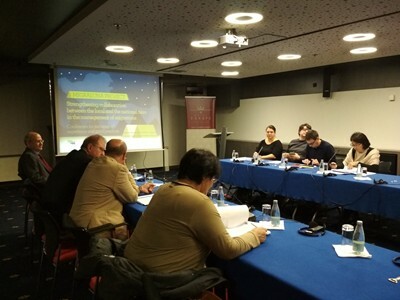 Today, 1 December 2017, in Sarajevo, Bosnia and Herzegovina, the first conference on sharing experiences and good practices on migration took place. During this conference the Italian system for protection of migrants SPRAR is presented, but also the role that local governments, the international organizations​ and the civil societies can play in the management of migration. Participants at the Conference come from the Local Governments and are Mayors, but also members of the City Councils, representstives from the Ministry of Human Rights and Refugees of Bosnia and Herzegovina, but also representatives from the the international organizations that work in the field of migration: UNHCR, UNDP and IOM are present. This is the first of six conferences that will happen in six countries: Bosnia and Herzegovina, Albania, Montenegro, Serbia, Macedonia and Kosovo. 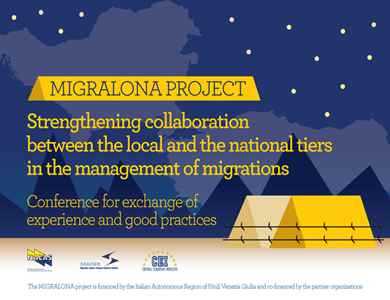 The conferences are part of the project Migralona which is funded by the Italian Autonomous Region of Friuli Venezia Giulia and co-financed by other partner organizations and implemented by NALAS, MARRI and CEI.